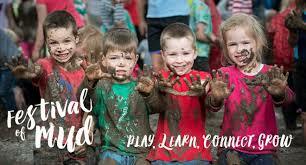 Thousands of South Australian kids are set to get very messy on April 27 for the City of Unley’s second Festival of Mud. The popular festival held in partnership with Nature Play SA, and celebrating nature, outdoor play and healthy childhood development, is back and muddier than ever in 2017. More than 4,000 people attended the inaugural event last year and the City of Unley is anticipating a strong turnout again this year. City of Unley Mayor Lachlan Clyne said the event was an opportunity for children to get outside and enjoy the freedom and sensory delight of nature play. “If last year is anything to go by, our Festival of Mud is set to be a highlight of the April school holidays in Adelaide. From major mud play to geocaching, this is a fantastic way to help younger South Australians connect with their environment and get their hands dirty,” Mr Clyne said. Other activities include stick cubby building, clay-based nature arts and story-time with Unley libraries. The Festival of Mud also aims to teach parents and teachers new skills through workshops and information sessions. City of Unley Community Development Officer Nate Overbeeke said consistent nature play had been associated with a range of benefits including increased happiness and improved wellbeing. “Research shows children’s playtime has gone through significant change over the last two decades. It is important that screen time is adequately balanced with getting out and about in nature. For young children still building their immune systems, nature play can also help stimulate their immunity,” Mr Overbeeke said. Food trucks will be on hand with delicious and healthy eating options. Bookings are essential and while the event is free, a gold coin donation upon entry is encouraged to raise funds for not-for profit organisation Playground Ideas.